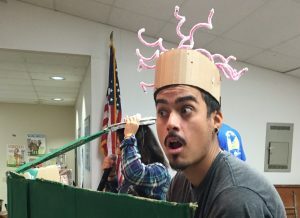 Preventing pollution from entering the watershed through marine debris education, trash cleanups, and inspiring behavioral change. What we do on land affects the health of our watersheds and ocean. The Healthy Watersheds Initiative is changing people’s perspectives about litter and other sources of pollution. 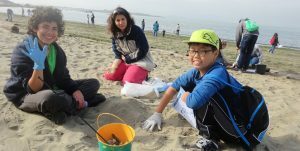 We help kids and adults understand that their ordinary, everyday decisions can improve the health of our watersheds, the San Francisco Bay and the entire Pacific Ocean. We advocate for policies to reduce the use of products like plastic bags and Styrofoam that too often end up in our waterways. We encourage “extended producer responsibility.” This strategy stops trash from entering our watersheds by requiring those who design, produce, or sell a product to minimize its environmental impact throughout the product’s life cycle. The Healthy Watersheds volunteer driven clean-ups engage and educate communities on reducing the amount of waste entering our creeks, ocean, and watersheds. Annual events such as Coastal Cleanup Day, Martin Luther King Jr. Day of Service, and Earth Day bring out thousands of volunteers from across the Bay Area to our shorelines and result in removal of hundreds, even thousands, of pounds of waste. 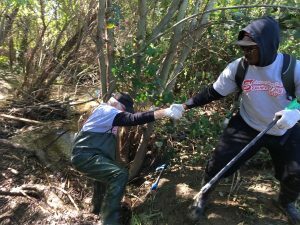 We also hold cleanups in more ecologically sensitive areas, like riparian zones next to urban creeks and marshes, with smaller groups of dedicated volunteers. The Watershed Project’s involvement in local cleanups for two decades has generated a wealth of collected data on the amount and types of waste removed, a valuable resource for policy makers involved in trying to reduce pollution. 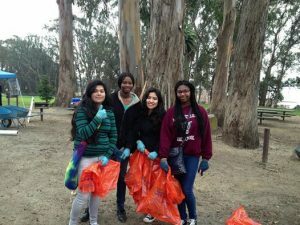 Check our events page to find upcoming cleanups. The Watershed Project, in collaboration with other community groups including Neighborhood House of North Richmond, runs a community-based Adopt-a-Block program, where residents of North Richmond become the sponsors and ambassadors of block beautification. 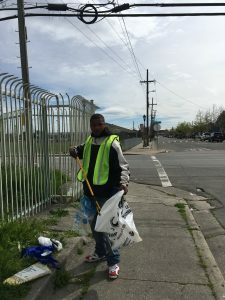 These block ambassadors are paid a stipend to clean their adopted street and sidewalk, perform trash cleanups, and engage their neighbors to do the same. 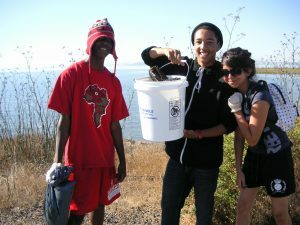 The Watershed Project works with local schools to organize and maintain recycling and composting programs. 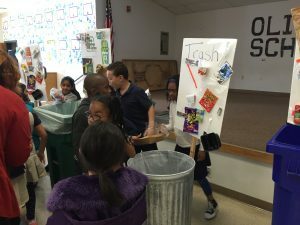 We train staff and students to sort their cafeteria lunch waste in an effort to reduce carbon emissions and prevent waste from going into the landfill. Citizen scientists collect critical water quality data and monitor the health of our local creeks and watersheds. The data they collect informs future restoration projects and environmental policy to build healthy watersheds. 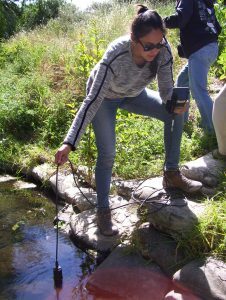 The Watershed Project trains and leads teams of interested volunteers in conducting monitoring projects in urban creeks across Contra Costa County. The Watershed Project spearheads the Contra Costa Watershed Forum’s Creek Monitoring Subcommittee, leading a collaboration between community groups and agencies to establish a standardized water quality monitoring system that will be used throughout Contra Costa County. 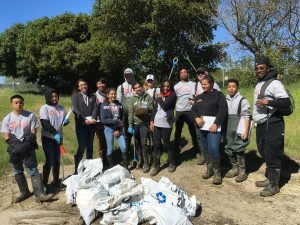 This project builds on The Watershed Project’s active riparian restoration projects in Contra Costa County, and our goal is to engage community members and train them to become citizen scientists. You can see the data we’ve collected so far in the Wildcat, San Pablo, Walnut, Grayson, and Marsh Creek Watersheds, thanks to the team at Water Reporter! Tell us what YOUR group needs to monitor your watershed! Does your group want to start a water quality monitoring program, or improve an existing program, but is hampered by lack of resources? 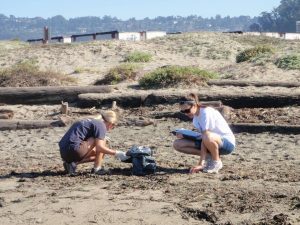 The California Water Monitoring Council has put together a survey so that you can tell us what your group would need to establish or improve an existing water quality monitoring program. The goal is for the Council to provide needed resources to groups like yours, like equipment, training in field procedures, or data management. Please give us your feedback by filling out the survey here, and contact Helen at helen@thewatershedproject.org with any questions or concerns. We’re looking for a few volunteers to assist our interns in the field every second Friday from approximately 10am-1pm. If you’d like to learn how to use water quality meters and collect valuable data in our local creeks, please contact Helen at helen@thewatershedproject.org. No experience necessary. 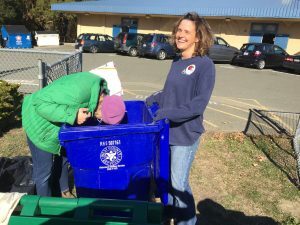 By conducting trash assessments with school groups and volunteers, we are helping Contra Costa and Alameda Counties fulfill their zero waste in surface waters requirement by 2022. The data collected also informs policy makers about where to target source reduction campaigns. 10 Ways to Reduce Plastic & Carbon – 10 easy ways you can be green at home. Alameda County Plastic Bag Ordinance – Alameda County’s new plastic bag ordinances goes into effect on May 1st. Universal Waste Disposal Guidelines – Universal guidelines to trash, recycling, and compost. Check your local waste management provider for additional items that can be diverted from the landfill.